Many eco-friendly cleaning products are sold in stores at a higher price. With a little time and even less money, people can create green cleaning supplies at home. Many people want to go green, but when they visit their local supermarket they find that the eco-friendly cleaning products are more expensive than the less environmentally conscious counterparts. 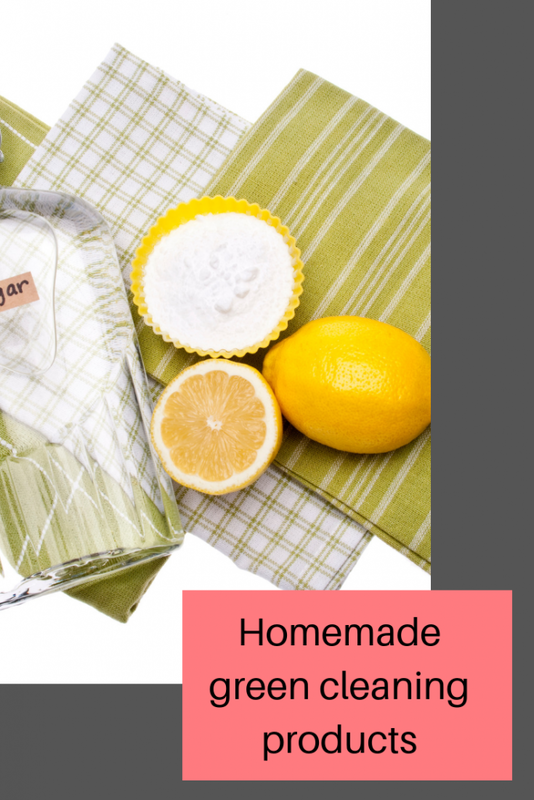 Luckily, with going green becoming more popular, there is a wealth of resources to find out how to make homemade green cleaning products, at a fraction of the price. Though spraying a store-bought air freshener in the house seems like the easy way to air out smells, there are many other means that are just as simple. First, try cleaner-free methods such as opening a window and leaving out some coffee grinds or dried herbs. If that doesn’t work, fill small ramekins with baking soda and leave them in rooms throughout the home. Just as a box of baking soda in the refrigerator helps absorb the odours inside, the same goes for smells in the house. An alternative (though potentially more messy if spilled) to baking soda is to fill the dishes with some white vinegar, which does the same thing. Vinegar can work double duty as an odour eliminator and all-purpose cleaner. Mix equal parts vinegar and water to create a completely natural cleaner for bathrooms and kitchens. Though safe for most surfaces, be sure to test the solution on an exterior not easily seen. Vinegar is acidic and if not mixed with enough water can damage some surfaces. Vodka also makes for a great cleaner. Mix one part of the alcohol to two parts water and voila: the perfect disinfectant (though not cocktail). Kirstie Alley proclaimed the virtues of vodka as a cleaner on The Oprah Show, when she told about her first job as a housekeeper. Keep your towel soft and fluffy by using white vinegar instead of fabric conditioner. Add half a cup to the detergent drawer while the machine is filling with water. Rinse and spin then line dry to keep the fibres fluffy. If your whites are looking a bit grey and colours faded, try soaking them for a few hours in warm water and a little clear vinegar. This will remove the build up of detergent that makes them look dull. Afterwards rinse thoroughly and machine wash.
To remove yellow stain marks from white tops, soak the area with a solution of half white vinegar and half warm water overnight but rinse thoroughly and machine wash.
Making eco-friendly homemade cleaning products are one way to show that going green can be good for more than the environment, it can be good for a budget. I have sensitive skin so avoiding chemicals is a good idea. Home made products are much better and less likely to give me a bad reaction! I’ve been wanting to make my own homemade green products for a while now so will give these a go. I honestly didn’t realise how versatile vinegar was. I will definitely try it against trying to keep my whites looking bright for sure. These are great tips thanks for sharing. I’m definitely going to give some of these a try, especially the microwave cleaner. Lemon and vinegar are such incredibly versatile things, aren’t they! There’s no need to use all those harsh cleaning products if you’ve got those around.